We all know there are no magic wands when it comes to parenting. It’s a tough job, but most of us knew that when we signed up for the job. However, that doesn’t mean that we shouldn’t take advantage of quality opportunities to make our lives easier. That’s what being a smart parent is all about. 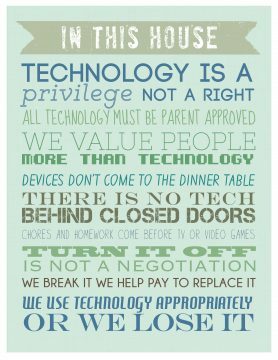 As technology has presented numerous sources of frustration and distraction for us, believe it or not, it can also be an invaluable tool when it comes to managing our household and taking care of our family. There are hundreds of apps out there that claim to offer solutions to our everyday problems, but here are FIVE that we truly think live up to the hype. 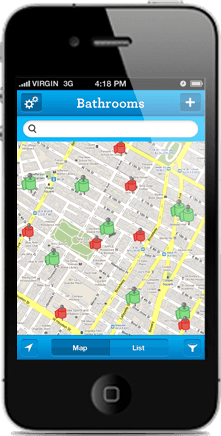 This ingenious app created by Charmin (yeah, the toilet paper people) not only helps you locate the nearest restroom to your current location, but it also actually includes ratings from other users about the condition of the facilities. Enabled with information about changing tables, handicap accessibility and other useful insight, it doesn’t matter how old your kids get, knowing how to find a clean bathroom at a moment’s notice can be a life saver! Available for both iPhone and Android, FREE. Why do kids come with so much stuff? Even when we finally get past the baby stage with all the strollers and high chairs and jumpers, we head straight into school and the equipment overload turns into paper overload. So many of us struggle with throwing away even one piece of artwork, even when it starts taking over our home. 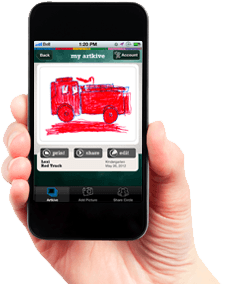 This app enables you to take pictures of all those masterpieces with your phone and then can turn it into memory books or other keepsake items. Available for iPhone and Android, $4.99. Have an older child with a phone who conveniently likes to ignore your incoming calls and texts? In most cases, the primary reason we give kids a phone is so we can reach them or they can reach us. When they aren’t abiding by the rules, we can still reach out and deliver a consequence. Ignore no more gives you the power to lock their phone until they call you back. The phone will still be able to contact you or make an emergency call, but that’s it. The app works across multiple parent and child devices and it CANNOT be disabled. Available for iPhone and Android, $5.99. 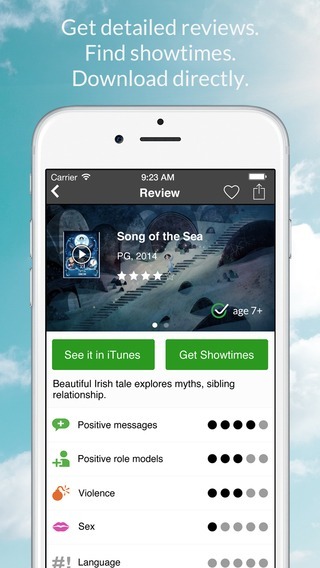 Using this app, parents can search a database for ratings and reviews of more than 20,000 TV shows, movies,books games, apps and more. It enables you to make quick decisions about what is or isn’t appropriate for your child without having to do time consuming and confusing research. Created to make sure parents have the information they need to make smart decisions. There is even a barcode scanning function for easy use in stores and on the go. Available for both iPhone and Android, FREE! Is it going to rain when we’re planning that trip to the beach? Is that snowstorm really going to move in and cancel school tomorrow? Do my kids need a sweater for school today? The weather has a major impact on our choices as parents and the lives our family. 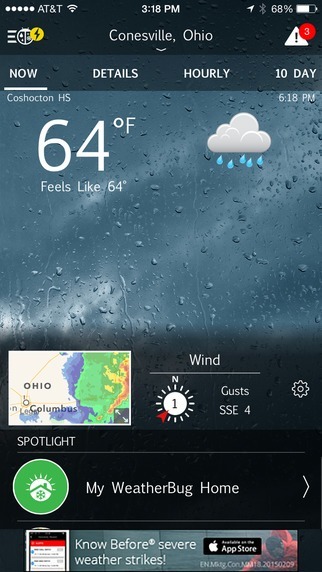 Having a forecast you can rely on is important and the weather bug app is a popular choice. However, what makes it stand out from all those other weather apps is its Spark™lightning tracking function that turns your smartphone into a personal lightning detector. You’ll get real-time, minute-by-minute, mile-by-mile lightning monitoring from the WeatherBug Total Lightning Network. There is even a live lightning map to show you lightning strikes near you and across the world! A must have option for when you have kids playing outdoors and especially those participating in youth sports. Available for iPhone and Android, FREE. Do you have any favorite apps for making your life easier? 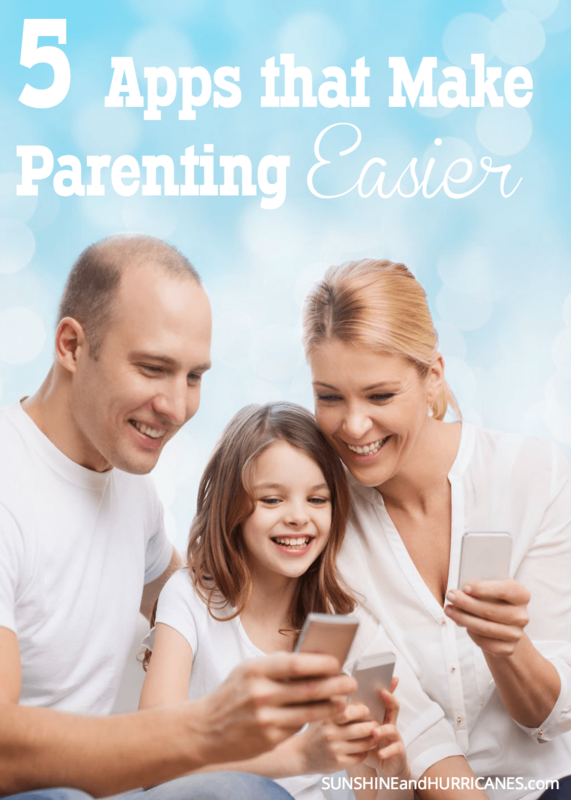 So smart, letting tech help you with parenting from the start! Oh these are some great apps, I have actually never heard of them . This is a really good list. Thanks for putting it all together for us. I’m terrible about discovering new apps. the Sit of Squat app made me laugh. I am always having to know where the bathroom is AND i am always rating it in my head! Me, too! I cracked up when I first saw it! Oooh, I might have to check out Artkive. Currently, I take snaps of any artwork and put them in a Facebook photo album – that way the grandparents can see them, but it minimizes the home takeover. We have a designated wall by the refrigerator for pieces our daughter wants to display, and when it gets full she has to switch a piece out if she wants to hang another one. That’s a great idea, creating a design wall! Love the added benefit of sharpening those decision making skills for the kiddos! This is such a great series. I need to get Artkive – so many of my friends rant and rave about it – and I am drowning in art work! We like the Cozi Family Calendar. Includes options for to-do lists, calendar, family bulletin board, contacts, meal planning – and works across multiple platforms, including Blackberry. Another vote for Cozi! I’m not exaggerating when I say I’d be divorced without this app. It has improved communication tenfold. I have a KidsMode on my phone that is a standard Samsung app now. I love it. I also have fallen in love with ABCMouse and Starfall. These are some amazing tips and apps. Thank you for this post!!! Loving all these apps!!! 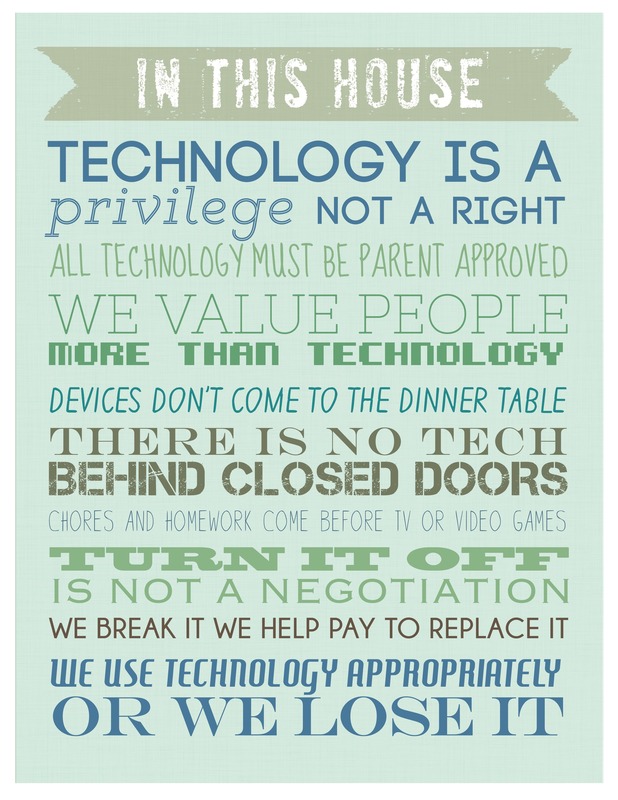 My kids will love the artKive!